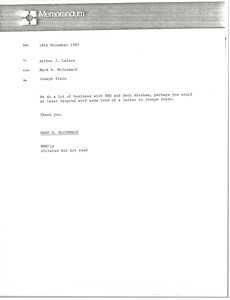 Advising Lafave to respond with a letter to Joseph Stein. 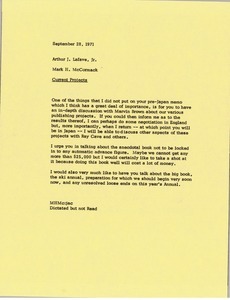 Requesting Lafave discuss publishing projects with Marvin Brown. 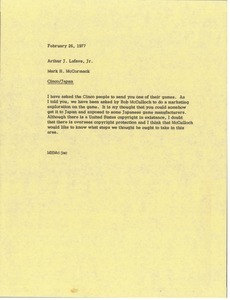 McCormack notes that this is important to have available upon his return from Japan in order that he be prepared to discuss with Ray Cave and others. 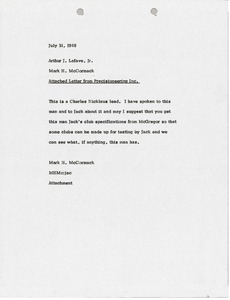 In addition, McCormack specifically notes an anecdotal book advance, a ski annual, and preparatiosn for the "Golf Annual". 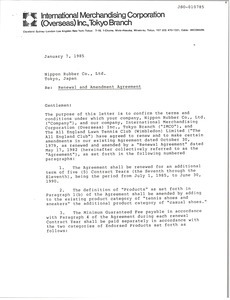 Concerning the attached letter from Precisioneering Inc., which is a Charles Nicklaus lead. Enclosure not with letter. 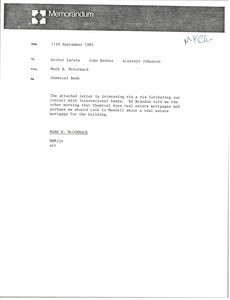 Concerning the NBC Golf Outing. 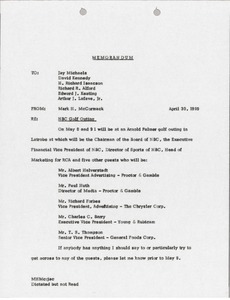 McCormack indicates that he will be attending an Arnold Palmer golf outing in Latrobe and lists the names and positions of several NBC executives that will also be in attendance. 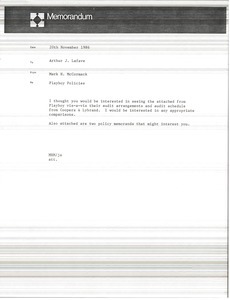 McCormack asks that the recipients inform him of anything they would like communicated to these executives. 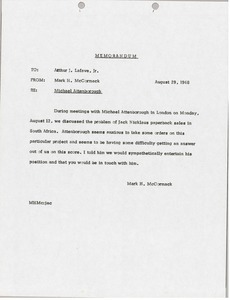 McCormack sends Arthur J. Lafave, Jr. notes regarding meetings with Michael Attenborough in London on August 12, 1968 about Jack Nicklaus paperback sales in South Africa. Concerning Palmer Golf Export. 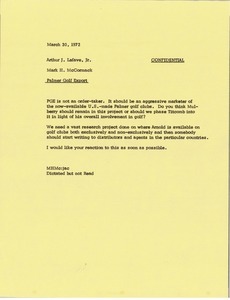 McCormack asks about Mulberry's and Titcomb's positions and notes a large research project on Arnold Palmer's golf club availability.